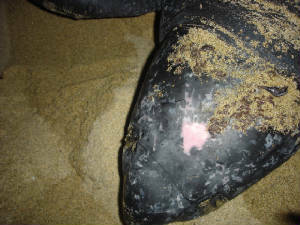 We are tracking Pacific Leatherbacks using PIT (Passive Integrated Transponder) tags, flipper tags, and manchas rosas to identify nesting females. 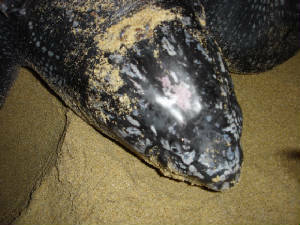 If you have captured tag codes or have mancha rosa (head) photography of nesting Leatherback's on the Pacific coast please record the date, and beach and contact us. 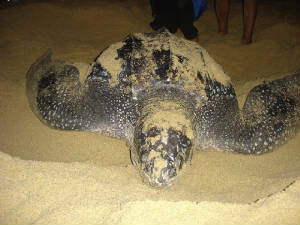 To compare your data with ours in Tracking Pacific Leatherbacks, see the below pdf file.